Personalized Tank Tops. Custom Made Personalized Ladies Tank Tops. Personalized tank tops are a great way to wear your favorite memories. Use your photos or images, and even add text, to create a unique look that reflects your personality. Design your personalized ladies tank tops to look exactly how you want and make them the perfect focal piece of an outfit or as a compliment your style. Personalized tank tops to show off your style and create a unique look that nobody else will have. Make yourself stand out from the crowd with personalized women's vest tops. Design using your photos or your designs, and you can even add text for a snappy slogan, inspirational quite, or anything you like. Choose from two stunning fabrics, and create your personalized tank tops today. Add a splash of color, a classic black and white photograph, the opportunities are endless. The quality & look is great for my tank top I designed. I love it. This personalized tank top is a snug fitting, lightweight garment. Perfect for summer wear, or to wear under a jacket all year round. 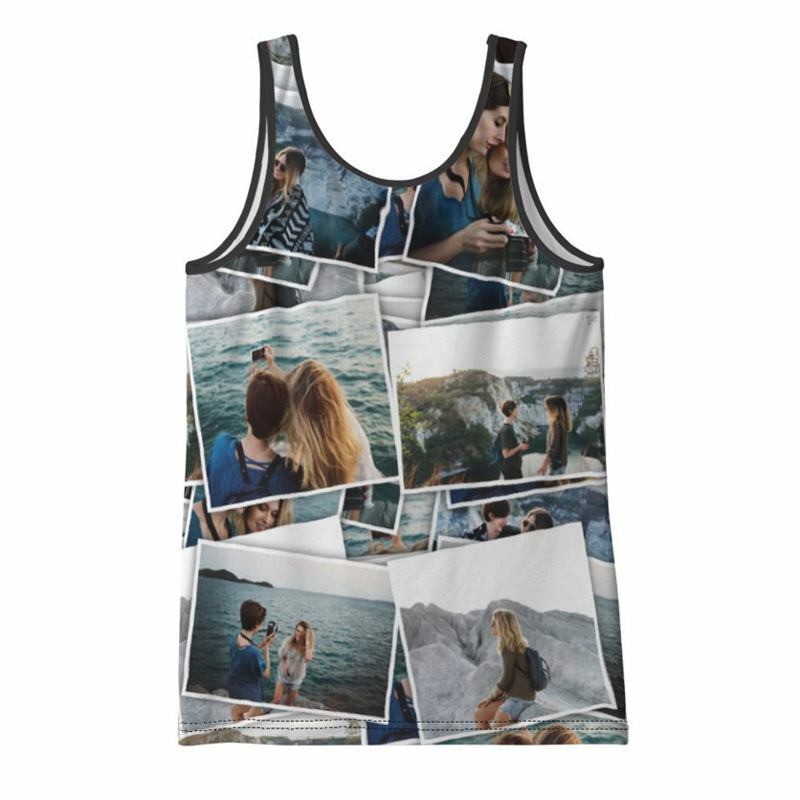 With shoulder straps of approximately an inch and a scoop neck, this personalized vest top can be customized using your photos, images and text. The back scoop sits around three inches higher than the low-cut front, at its lowest point for a traditionally shaped personalized ladies tank top. Our printing technicians will print your photos or design directly onto your chosen fabric. Once this is done an expert craftsman will cut the fabric to size and shape. By doing it this way round we can ensure that your design is printed in full glorious color, photos in HD quality, right from one edge to the other, without leaving any white edges, unless of course, you have created your design to include them. 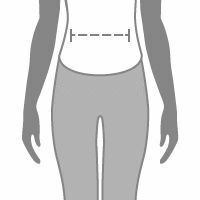 Once this has been done, the fabric is passed to our expert seamstresses, who will sew and hem your personalized tank tops. Once everything is finished, the quality is checked to make sure that it is just right, before we ship it out to you. All this in only a few days. The personalized tank tops with no minimum are one of the most versatile garments. In summer seasons you can print with bright bold colors, and wear as a statement piece with leggings or a skirt. During springtime and more autumnal weather, paired with a women's bomber jacket these personalized women's vest tops and an ideal accompaniment. You can use contrasting color schemes, or complementary ones, to create the best personalized not-on-the-high-street look that is personal to you. Going away somewhere warm for a hen do? Throw out the traditional t-shirt idea, and get on board with the hen party vest tops. A unique twist on a classic idea, it can do everything a t-shirt can, but is much better suited for warm weather! Our Personalized Bomber Jacket is a handmade and bespoke jacket for her. Customize with your favorite photos and designs. Create your own wedge espadrilles and design 6 areas on each shoe. Available in sizes 36 - 41 as well as black or white binding. A pair of personalized leggings with a high-waist and amazing body sculpting properties. A crop cami with a lace trim that you can personalize with your photos.